Google IO 2015 – Changing the Internet! 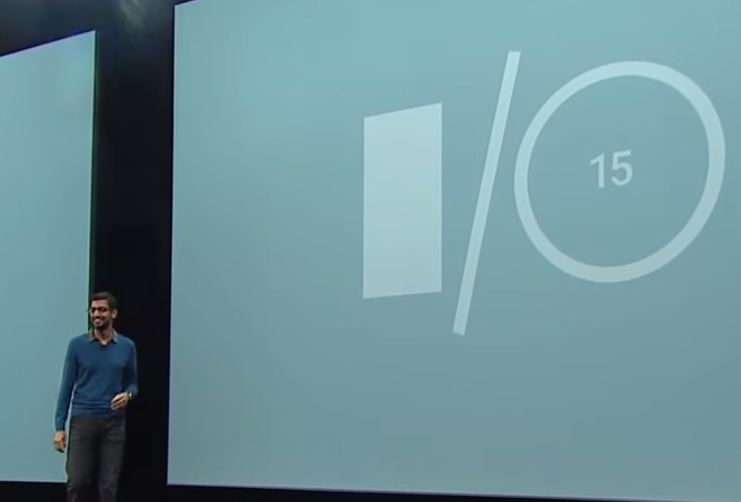 Did you miss Google IO keynote? That’s ok! We were tuned in the whole time. And while we cannot wait to see what’s next, here are the projects you have to look forward to in the coming year. Google’s Senior VP of Products, Sundar Pichai, opened Google’s I/O’s keynote address in San Francisco, May 28, 2015. In addition to “tons of bug fixes” and improved battery life, Androids new operating system promises a more user friendly interface and enhance customization. Probably the most exciting feature for app developers, Google has collaborated with Pinterest to incorporate of Chrome tabs, an in-app browser that allows users to seamlessly consume web content linked within the app. Google promises a simple and secure way to pay in more than 700,000 retail locations across the country. Using the secure NFC (near field communication) technology developed in previous years and a virtual account that protects credit and debit card information, Android Pay appears to have thought of everything. Simply unlock your phone and tap on the secure payment station anywhere from Macy’s to McDonalds (and soon, Lyft and Grubhub). They are even working with banking institutions and mobile carriers to enhance usability from end-to-end. Not enough security? Google has made finger print scanning technology available to users and developers, so purchases made using Android Pay, or even through a website using stored information, can require bio-metric verification. Imagine, a watch that can tell you the time just by looking at it. Novel, no? Google stated that their focus was on useful apps for wearable devices, including those that can be always available (no need to tap, twist or shake your wrist to see the time) and run without being tethered to your phone. Google has introduced dozens of features over the past year including GPS, offline music, heat rate monitor, motion sensor, WiFi… you see where I’m going right? There are over 4,000 Android wear apps on the market now, and Android wear promises to only get better over time. How can we make the Internet of Things an attainable reality? Standardized parts, that’s how! Introducing, Brillo, the stripped down Android operating system that is available for use in everything from cars to coffee machines, and Weave, a system for all these devices to communicate with each other in the same way. Google developers are working with the minds at Nest to identify the essential elements to create an end-to-end solution that is, above all, user friendly. Thanks to advances in machine learning, Google’s current neural nets (which are 30 layers deep!) have dropped incorrect search results for images from 23% to 8% in just the past year. The result? A photo storage that can recognize and categorize people, places and themes and display them for you in a cloud-based gallery. The best part? You get unlimited storage of all your high definition images and videos absolutely FREE. Can’t wait? You don’t have to. Google Photos is available now. Google Now takes mobile user experience to another level. In addition to increased understanding on natural language, Google Now introduces content recognition to search. The content recognition allows Google to recognize text in emails and chats, the webpage you are viewing, and even location data to create the context for your query. Example, if you are texting your friend about going to see a movie, and you ask, “Hey Google, what time does it start?” Google will be able to tell from the context of your recent activity what “it” is, and bring you local movie times. Well now you can. Google is making it easier not only to develop your app and engage your users, but to integrate apps with Google Analytics and ad tracking, so you can make better decisions about your in-app activity based on how your customers are using it. Last year, Google Cardboard turned any phone into a virtual reality viewer. “The first view was great, but,” as Google developer Clay Bavor quipped, “phones have gotten a lot bigger in the past year.” This year’s Cardboard is compatible with screen sizes to 6”, and now supports both Android and iOS. In the pursuit of an immersive experience, Google is working with to build a rig that can easily be replicated around the world, including being made, “just for good measure,” out of cardboard. The design is available now, so anyone interested in creating a virtual experience will be able to. They have also partnered with GoPro to develop a 360°, 16 camera rig that will interface with the Jump software. And that’s just scratching the surface. There will be much more coming from Google this year, and we can’t wait to see what’s next. Want to watch the full event?